Sources familiar with "Deal of the Century" say plan will focus heavily on Israeli security concerns. The White House is expected to roll out its long-anticipated peace package later this spring or by early summer, after more than two years of effort by Trump adviser and son-in-law Jared Kushner. Officials have kept details of the plan secret, but comments from Kushner and other US officials suggest that it does away with statehood as the starting premise of peace efforts as it has been over the past two decades. While the contents of the Middle East peace plan have remained a secret thus far, Kushner recently discussed it in an interview with Sky News in Arabic. Netanyahu has promised to consider the plan, but Palestinian Authority (PA) chairman Mahmoud Abbas has rejected the US plan before it has even been unveiled and has been boycotting US officials ever since Trump recognized Jerusalem as Israel’s capital in December of 2017. One of Abbas’ chief advisers, however, said last week that the Palestinians will not reject the Trump plan out of hand, according to The Washington Post. Trump lawyer Jason Greenblatt, who would be the lead US negotiator for talks, tweeted a direct appeal to Palestinian leaders last week. 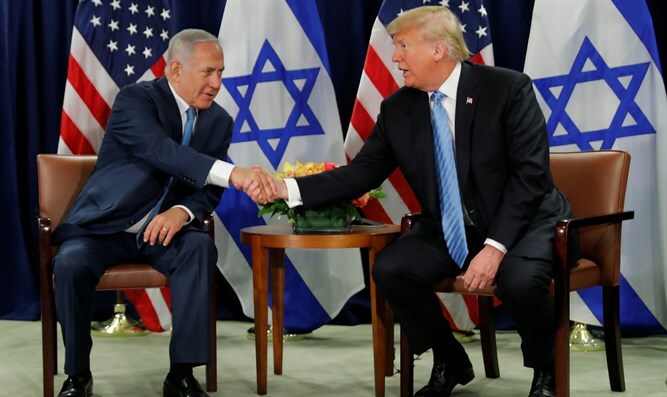 Although Trump had said in September that he expected a rollout within four months, US officials reset the timeline when it became clear that Netanyahu would call early elections. The plan will wait at least until after Netanyahu forms a government, and probably also until after both the Passover and Ramadan observances, according to The Washington Post. The US official requested anonymity to discuss plans for the still-secret package. Some Arab and Israeli officials familiar with discussions around the package also requested anonymity because they were not authorized to disclose contents of confidential meetings.